The animals aren't the only ones coming out of hibernation - spring is a time when the real estate market starts to wake up, too. We've come across some great midcentury homes for sale recently, so we've rounded them up here for your home-buying convenience. Homes are listed by their general geographic region, starting with the west coast and moving east. 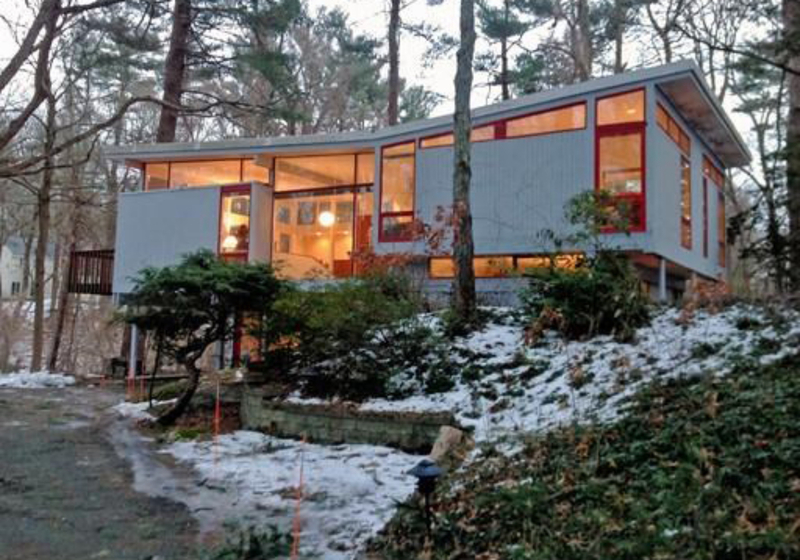 If you have a home for sale you'd like to see featured in future posts, send us an email at info@docomomo-us.org. Beautiful midcentury remodel with stunning un-obstructed views on a spacious corner lot. Over 2,000 square feet of living space with walls of glass overlooking the pool -spa -tanning shelf. Said to be built by the Alexander and Dunas with a Palmer & Krisel design. Fireplace in living room, brand new split systems allow for maximum control of heat and air. Double carport and circular drive. 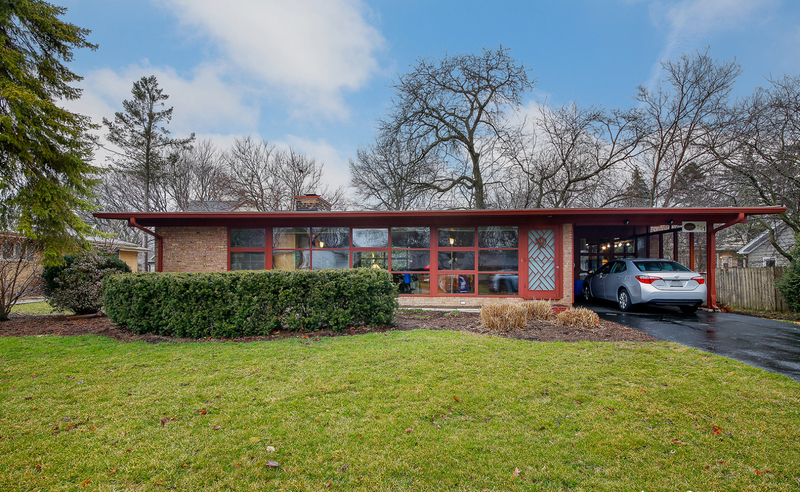 Your midcentury lifestyle starts with this great property. 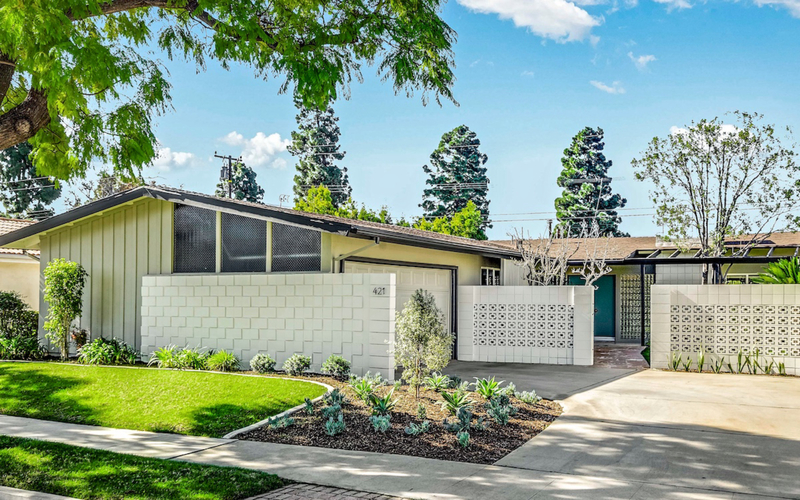 Bob Higgins developed the original Sunmor Tract in 1955 with a handful of homes designed by Donald Wexler and Richard Harrison. This home, which served as the model home for the original development, is a perfect candidate for the city's Class 1 historic designation. Restored in 2015 to its architectural glory, and rightly called the "Crown Jewel" of Sunmor, the house remains true to its original floor plan and elevations. Its gorgeous living room with walls of glass, is revealed through an obscured glass front privacy courtyard. The kitchen, dining and living areas work seamlessly with outside pool, grill, and shaded dining area. Three unique bedrooms each can accommodate king beds, and the owners' suite opens to the lush private back yard. 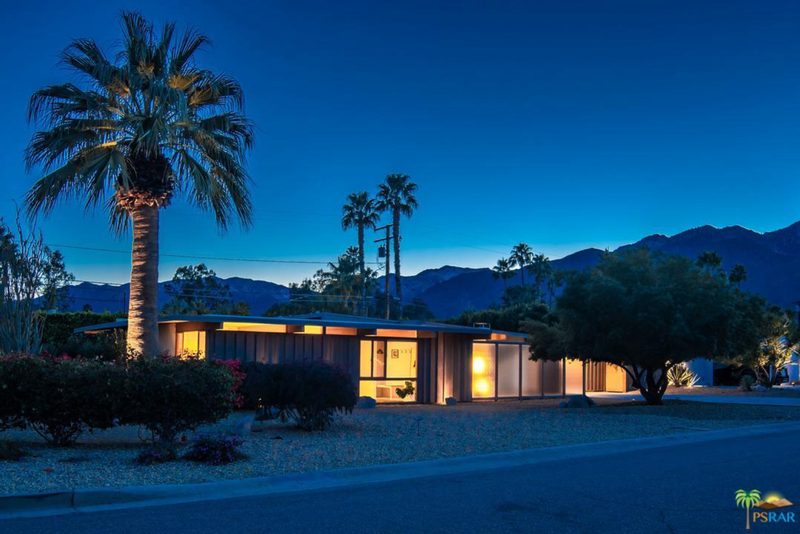 This is a one of a kind work from a revered Palm Springs architect. 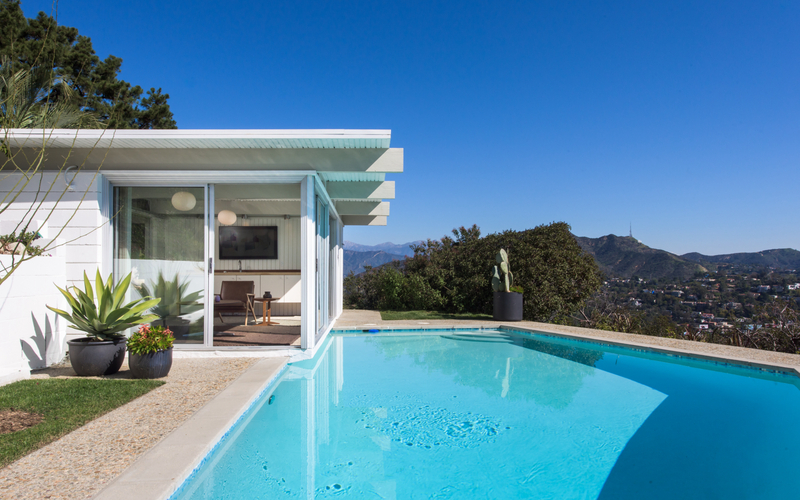 The historic Lukens House, one of Los Angeles's premier international style homes, masterfully designed in 1940 by minimalist southern California architect Raphael Soriano for ceramicist Glen Lukens, one of the founders of the Arts and Architecture magazine. The home features classic Bauhaus design elements including a flat roof, large overhung eaves and ribbon band steel frame windows. The three-bedroom, two-bath home is located in Historic Jefferson Park and nestled in the original garden of West Adams's Lyndsay Mansion. Designated a Los Angeles Cultural Monument in 2007, this home has received numerous preservation awards. 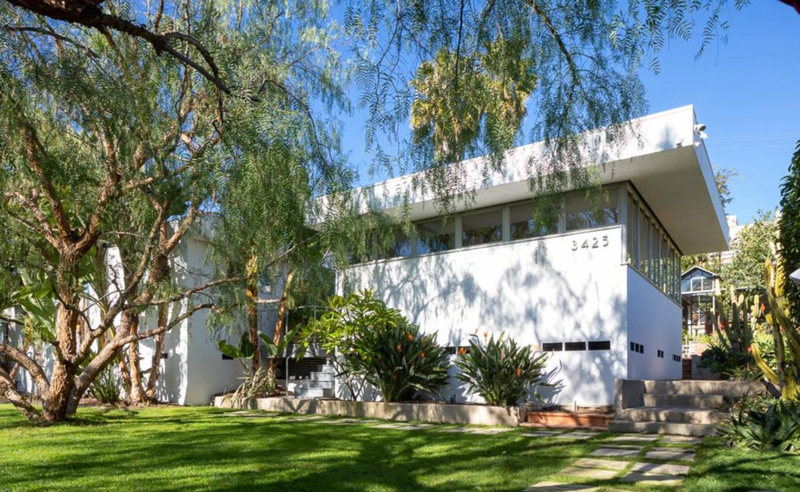 Own this clean lined California modern architectural gem, an inspiring piece of Los Angeles history. Fifty years after his family fled the Austro-Hungarian Empire, prolific shipbuilder John Rados purchased a large, hillside lot overlooking the Port of Los Angeles and his beloved company, Harbor Boat Building. For Rados, Neutra’s designs embodied postwar unpretentiousness, technological advances, and adaptability to a newly redefined world. Massive mahogany marine-grade wood beams, terrazzo floors, floor-to-ceiling windows and sliding glass doors define the character of the immense space. Located at the end of a long, private driveway, the unassuming façade of the Rados House hides its greatest secret: it is one of the largest Neutra-designed houses in the United States. 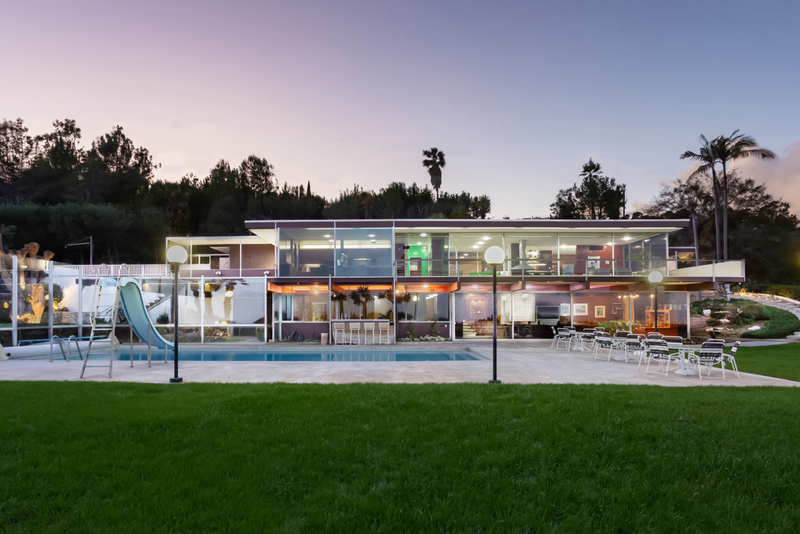 Three houses away from Mulholland sits this spectacular mid-century estate by Buff & Hensman, AIA, set down a private gated drive with city, mountain & landmark views. Nearly every room has walls of floor to ceiling glass. The current owner completed a renovation that incorporates extensive new built-ins & cabinetry that are seamless with the original architecture. The interiors are complemented by hardwood floors and period-correct tile and terrazzo surfaces. Down a landscaped path a separate post & beam guest house is perched over a sun-drenched pool with expansive canyon & city views. 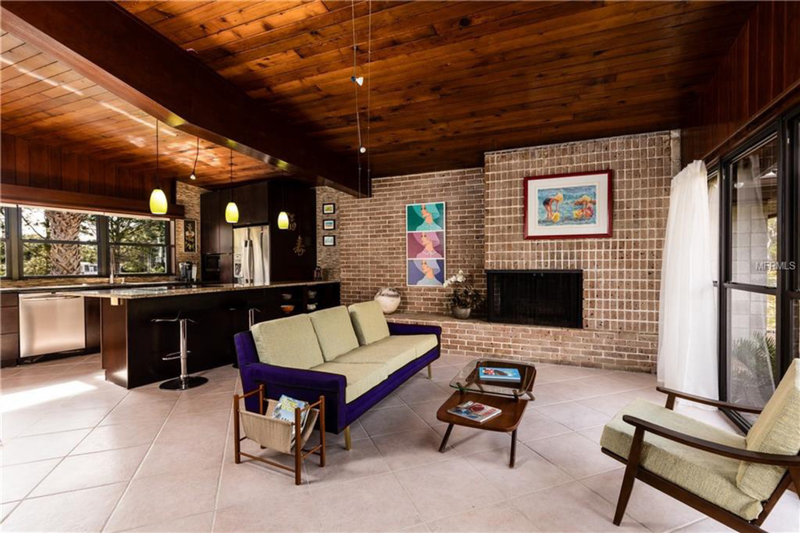 Nestled in a quiet interior location within the sought-after neighborhood of University Park Estates is this midcentury modern gem. This turnkey home features three bedrooms, two bathrooms, a family room, living room, and an open, light filled kitchen in 1,566 square feet of living area. The double door entry, slatted entry divider, stacked block fireplace and open beam ceiling in the living room reflect the exceptional design characteristics of the era. The outdoor spaces are loaded with potential, featuring a gated front courtyard and large backyard. It is rare to find great architectural style in a prime neighborhood, close to the beach, shopping and restaurants at an attractive price. William Turnbull, Jr. (with Charles Moore, Donlyn Lyndon, and Richard Whitaker) created the masterplan of the ecologically-designed 10-mile coastal stretch known as The Sea Ranch. The seminal Hines House is offered here for the first time publicly since 1972. One of the first private residences designed by MLTW-Moore/Turnbull with William Turnbull Jr. as lead architect, the plan’s dual program of “big house, bunk house” provides a gathering place for family, friends and visitors. Set on just over 1.5 acres of prime ocean/forest view property, Turnbull preserves the natural hillside by designing the levels of interior spaces to coincide with the slope. 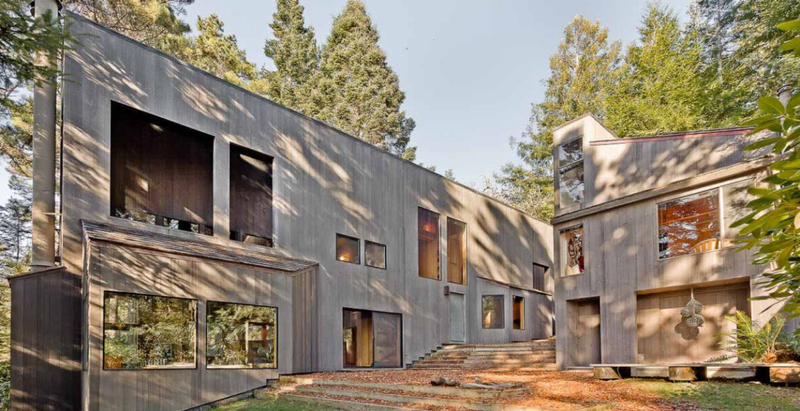 Old growth redwood, Douglas fir interiors and 6 strategically placed skylights convey oneness with nature. The home won the Sunset/AIA Home of the Year Award in 1970, and has been extensively published in Japan, Europe and North America. 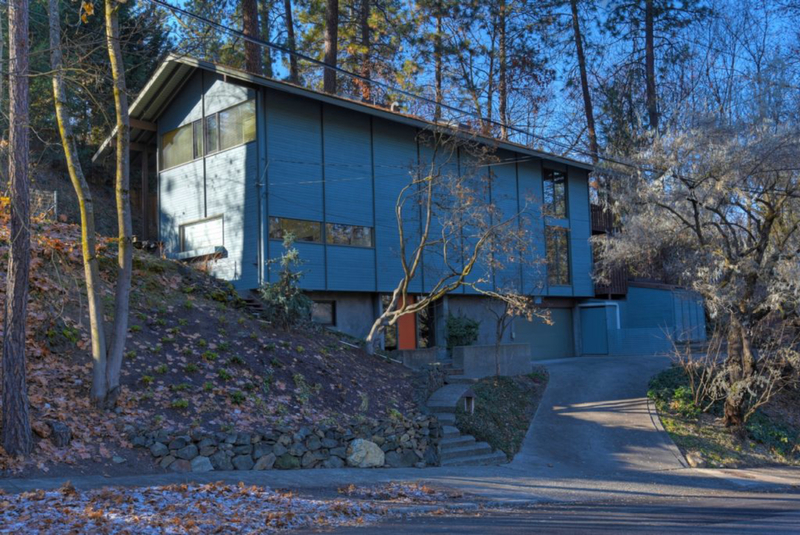 Featured in the 1966 Edition of Sunset Magazine and Built in 1963, the William & Dorothy Trogdon House is an excellent example of a modern mid-20th century home designed in the Northwest Regional Style. William and Dorothy met while both studying architecture at Harvard GSD and went on to form several successful architectural firms which made a significant impact on Spokane’s architecture. Located in the National Register-listed Rockwood Historical District, the Trogdon House is characterized by geometric, modern lines and minimal exterior ornamentation. 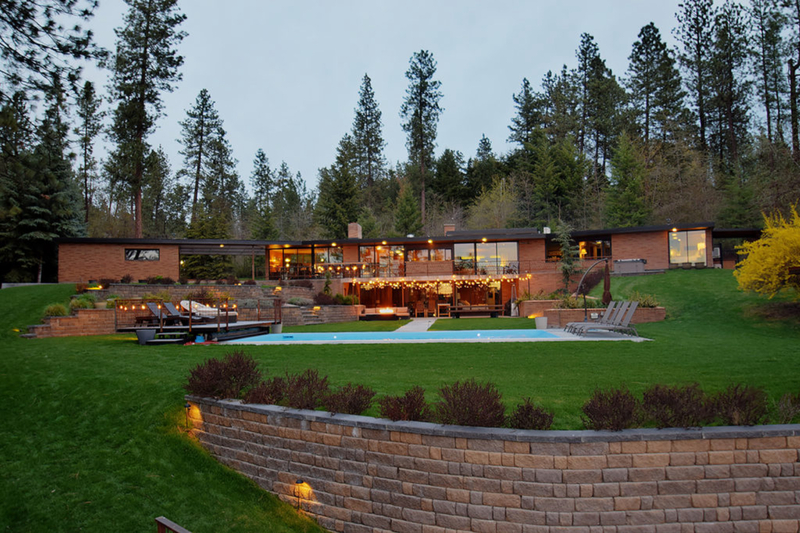 Stunning mid-century modern architect’s dream on the Spokane River. Secluded and just minutes to downtown, this restored 1955 Culler Gale and Martel-designed home features 5 bedrooms and 3.5 baths on 2.37 fenced acre estate with approx 280′ of river frontage. Sweeping views of the river from nearly every room. Bordered by a city park, featuring a boat house, deeded private boat launch, and 4 miles of water skiing. Heated, saltwater pool; basketball court; 2 car garage & 18 x 50 shop. Over $650K in improvements. A uniquely-designed brick & cedar ranch accented with exposed brick walls created by architect Edward Dart & developer Graeme Stewart is one of only 22 homes built in south Wheaton by this duo. Features include nearly floor to ceiling windows that bring the outdoors in, custom red cedar planked ceilings, and pegged oak flooring. Appreciate the quality and craftmanship that has lasted over 50 years. Originally marketed as Vision-Aire Homes, this is one of 13 homes which were inspired by homes the architect, Glenn Q. Johnson, had seen in the Philippines during a tour in WWII and designed specifically for the climate on the Pinellas Peninsula. This two-story/split-level home has thick concrete floors (even on upper stories). Owning a Vision-Aire home is an experience and, to quote the owners "Life in a Vision-Aire home is comfortable and inspiring. Walls of windows give way to the out of doors. Simple, linear, in-ornate wooden walls and ceilings surround one with a cozy, organic feeling." All of this overlooking lovely "Lake Flori" (named for Johnson's first wife). 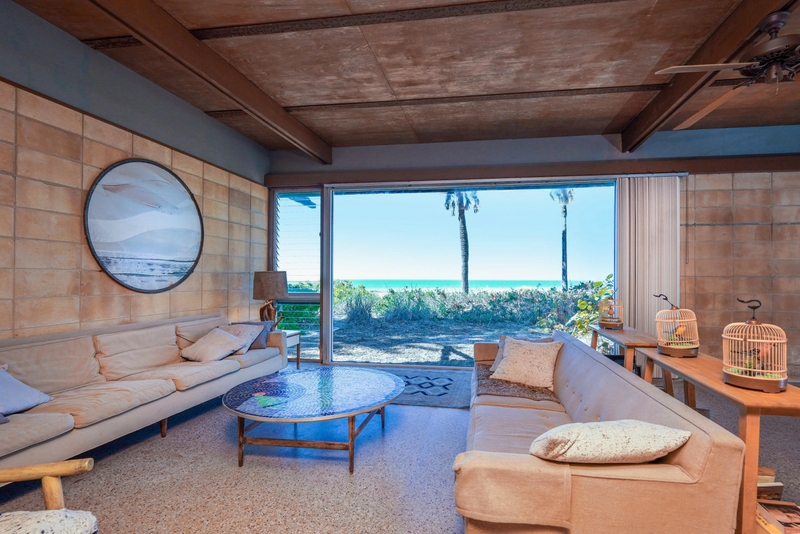 This original mid-century modern beachfront home on the Gulf of Mexico was designed for the Farley family by Sarasota School of Architecture icons Ralph Twitchell & Jack West. The four bedroom, four bath home and separate artist's studio is where the Black Stallion books were written by beloved author Walter Farley. Mrs. Farley loved architecture and worked with the architects to create a magical place for their artistic family to thrive. Unique details include original terrazzo floors, floor to ceiling glass, wood jalousies, custom built-ins, and a fireplace originally designed by Paul Rudolph for the Revere Quality House. The house and grounds need repair - will you be the hero that restores this magical property? 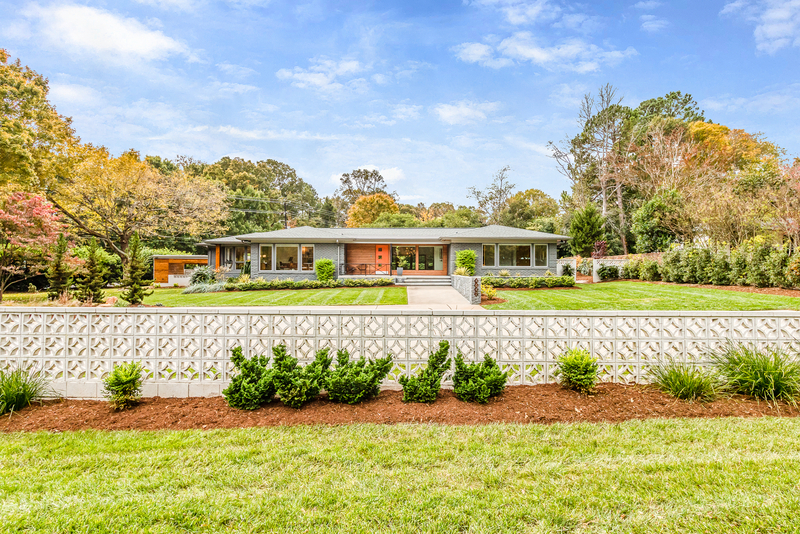 Breathtaking mid century modern masterpiece 1.2 acres in heart of Southpark. Might expect Don Draper or Sinatra by the pool martini in hand. More than a home it’s a lifestyle. Seller open to selling furnishings. Impeccably designed & updated top to bottom 1960 ranch featured in Atomic Ranch & Mad About Modern Tour. Cedar, walnut, natural stone and floor to ceiling glass bring nature in. 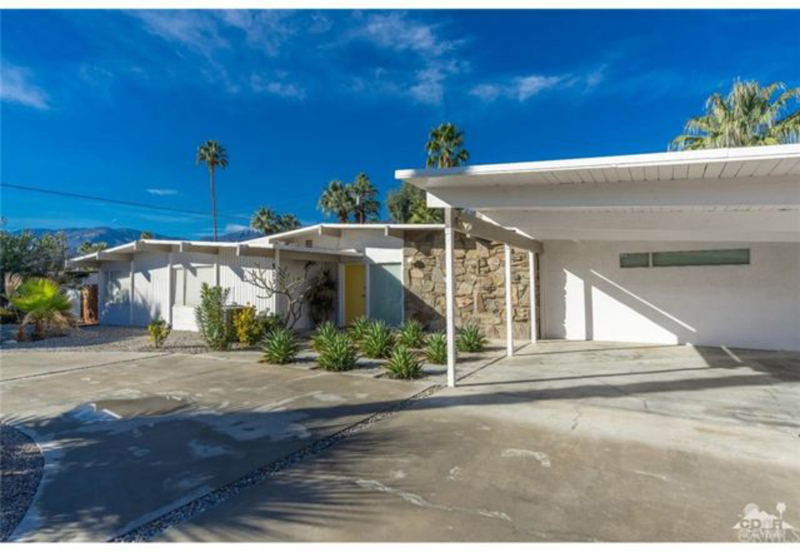 If you love midcentury modern and laid back Palm Springs style this is truly a rare opportunity. 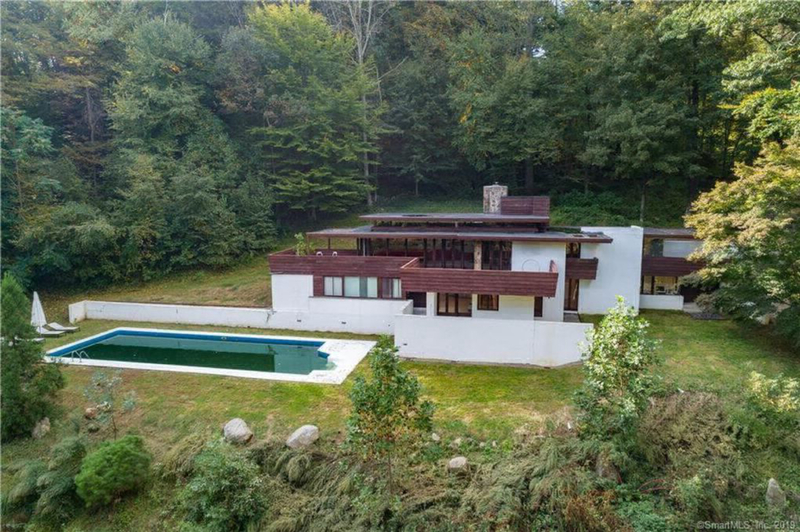 Nestled on a hillside on a private lane on 2.25 natural acres sits the midcentury modern Trinkaus House built in 1965 by Allan J Gelbin, apprentice to Frank Lloyd Wright. Like many modern structures of its time, this home takes full advantage of the landscape, the sun and the sky. The heart of the home is the expansive open living room/dining room with huge stone fireplace surrounded by wood elements, floor-to-ceiling windows, and a wrap-around deck with views. Five bedrooms, including a master suite with panoramic views with access to one of the many terraces. The delightful sounds of the waterfall and babbling brook across the street add to the serenity of this modern habitat.